Although we always love trading the cold weather of winter for the warm weather of summer, the higher temperatures can sometimes feel a bit stifling, especially on days where the humidity index is high. That being said, guests staying in one of our Pigeon Forge cabins with a pool won’t have to worry too much about being affected by the heat because they can simply jump into the pool to cool off. No two words can ruin a fun day of your vacation faster than, “I’m bored.” This is especially difficult for parents who spent weeks trying to put together the perfect travel itinerary for both them and their kids to enjoy once they arrive. However, all hope is not lost for a fun and exciting day if you choose to stay in a Pigeon Forge cabin with a pool. In fact, we can almost guarantee that you won’t need to put as much effort mapping out attractions and shows for you and your family or group to visit because you all will be too busy spending your time swimming during your vacation to worry about going anywhere else. To catch a sneak peak at one of our resort pools, be sure to watch the video below! We all know that calories don’t count when you are on vacation, but, just in case you are trying to sneak in a little exercise during your stay, you can always swim a lap or two in the pool. Not only is swimming an incredible cardiovascular exercise that works every muscle in your body, it is also one of the most fun forms of exercise you can do. What is even better about burning a few extra calories by spending the day swimming is that it means you won’t feel guilty when you decide to indulge later at one of the many delicious restaurants in the area. Unless you are staying in one of our Pigeon Forge cabins with an indoor pool, there is a really good chance that you and your family will share your pool time with one or two other families, and that is not a bad thing. In fact, this is a great way for you all to mingle with other travelers and share tips and ideas on fun things to do in the area. Talking to other resort guests is also a great way to possibly learn something new about the area that you may not already know. These new friends may also know of a new attraction coming soon or a new store that you all will want to visit when you return for your next vacation. You never know, the people you meet while on vacation may actually end up becoming long-lasting friendships which can translate to more people to travel with in the future. 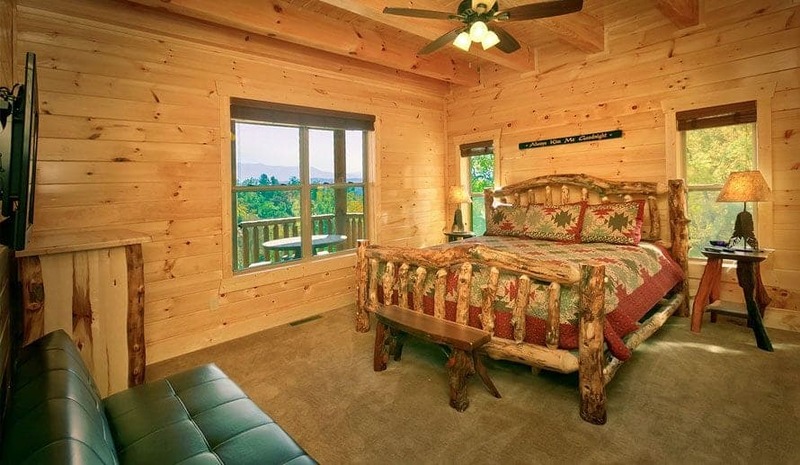 To learn more about the many benefits that come with renting a Pigeon Forge cabin with a pool, feel free to contact our vacation experts through the Large Cabin Rentals Contact page or give us a call today!